We provide a complimentary Medical Legal Review. 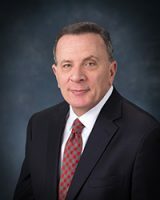 Ken Stern has been a practicing attorney for over three decades, providing clients a personal, in-depth approach to legal representation. Specializing in birth injury law, specifically preventable Cerebral Palsy, Stern gets great pleasure out of knowing he is providing his knowledge in the realm of medical malpractice to clients who need it most. Having noticed a significant number of parents of children with CP do not qualify for Lifetime Benefits or governmental assistance, he created MyChild at CerebralPalsy.org to ensure resources could be found by parents through a simple phone call or email. Ken Stern has been acknowledged by a wide variety of groups for his contributions to the law, having testified before government committees while serving as co-counsel on a wide number of birth injury cases. Stern is licensed to practice law in Michigan, Tennessee, Pennsylvania and Wisconsin. More information about Stern’s work in the law can be found at his website TheCPLawyer.com.